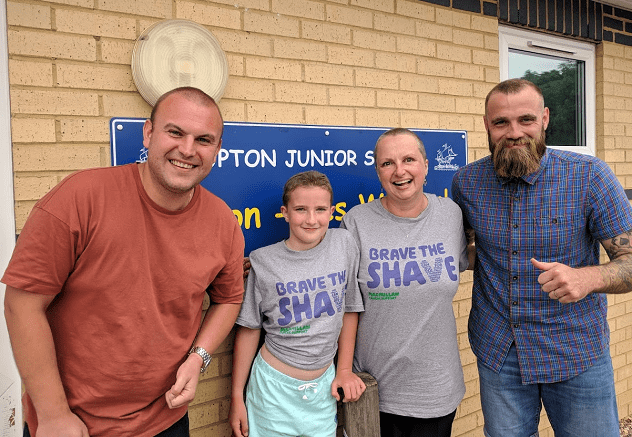 Upton Junior School pupil Seren Keen and her mum Tracey have raised more than £1,000 for the Macmillan Cancer Relief ‘brave the shave’ campaign. Seren, from Year 3, saw the head shave appeal advert on television and wanted to help support it but didn’t want to do it alone – so mum stepped into make it a Keen family double. 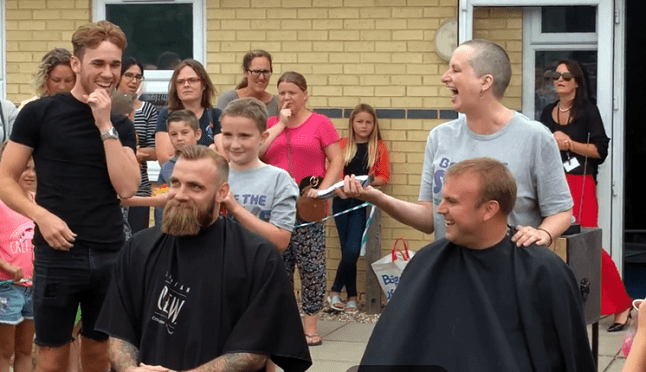 Initially they hoped to raise around £500 but Upton agreed to hold the head shave at their summer fair and parents were keen to support the fundraiser, resulting in Seren and Tracey’s initial target being smashed and more than doubled. 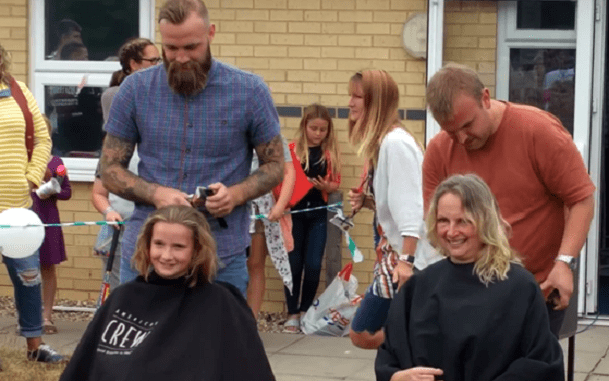 Sam and Matt from Malcolm’s barber shop in Broadstairs volunteered to shave the flowing locks of the charity duo – and then sportingly agreed to let Seren and Tracey shave their hair as well as part of the fundraising. Tracey said: “Cancer is something that touches everyone in some way. I have two close friends who have overcome breast cancer. It is indiscriminate and never fair. “The true warriors are those who fight the battle on a daily basis, and if a Macmillan nurse can help them and their families get through the ordeal, we feel privileged to be a part of making that happen. “They call it Brave the Shave, but really, we are not the brave ones. We have a choice, we are healthy, and our hair will grow back. “I am so proud of Seren. She knows people will stare, but that is part of her message – don’t judge people by how they look, judge them by how they behave and treat others. Deputy Head of Upton Dave Walker said: “We are extremely proud of Seren for showing the initiative to support this worthwhile appeal, and then for going through with it. “Big thanks also go to Matt and Sam, and to everyone who donated generously to help Seren and Tracey double their target.